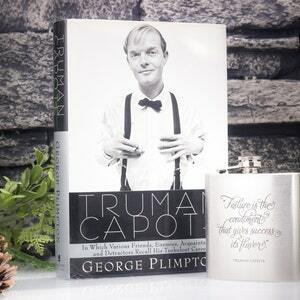 • Original blank endpapers. 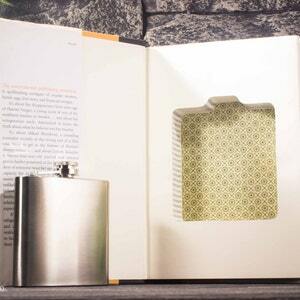 Great for writing messages or adding book plates. • Black hardcover matte vinyl. 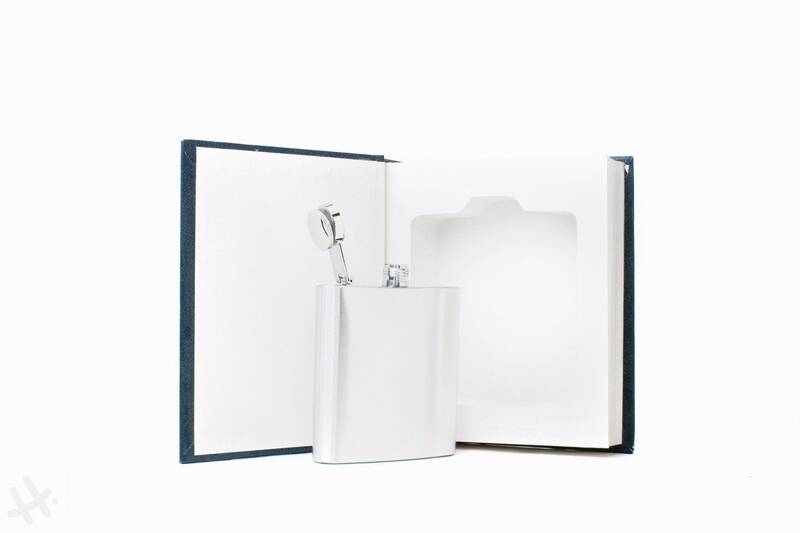 • Hollow Book measures 5-3/4" x 6-3/4" x 1-5/8"
Friends and family love the hollow book with our 6oz hip flask. 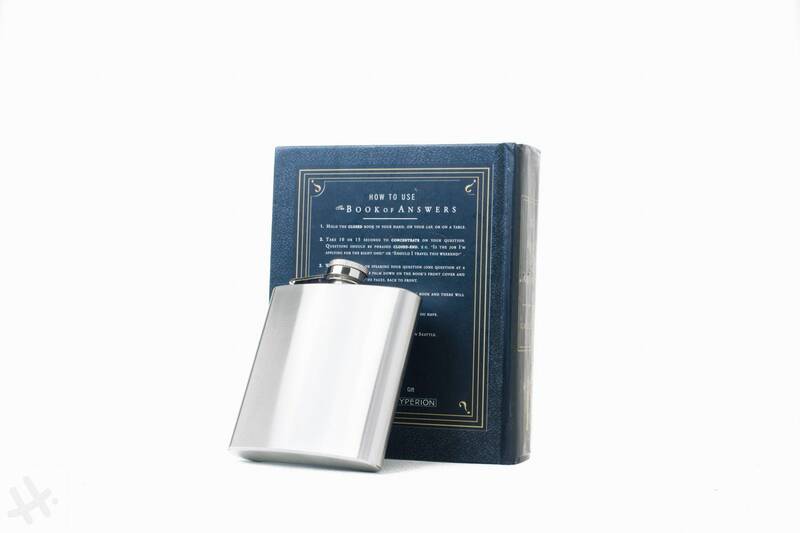 You can personalized your flask with a laser engraved monogram or customize your flask with your favorite Book of Answer quote. "Yes", "No", "Maybe?" 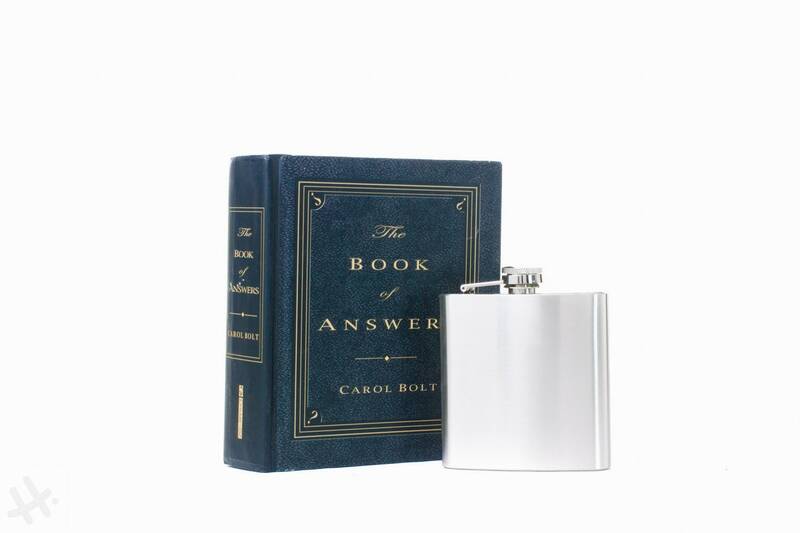 The Book of Answer hollow book and flask is elegant and stylish, for formal and special occasions. 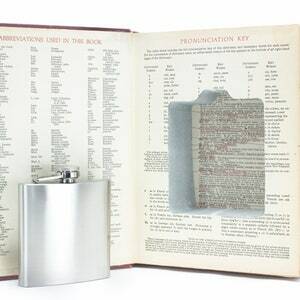 A unique gift that inspires meaning with books, and with a magnetic connection–your book's hidden secrets will be tightly kept. 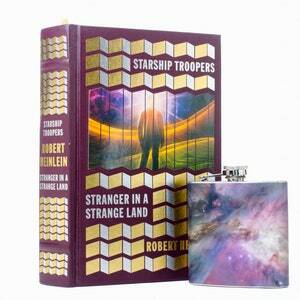 I love that the book is an actual book that has been hollowed out. It arrived fast too.